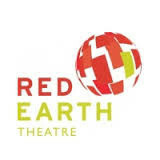 Red Earth creates and tours inclusive theatre for young and family audiences, making works that inspire, provoke and enchant. We are pioneers of integrated theatre, telling powerful stories that engage the heart and challenge the mind. We work in two languages: British Sign Language and English, and use creative captioning and audio description to enhance access. Collaboration with Deaf, disabled and non-disabled artists and audiences is at the heart of our work and we endeavour to reflect the diversity of contemporary Britain. Our vision is for a rich creative life for every child.